Static navigation can be created by pinning a folder to the address bar. Subfolders will be displayed as links and actions as menu items in a section under the Search bar that will not change, no matter the user&apos;s location in the portal. 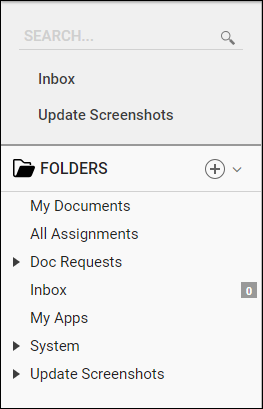 To pin a menu, select any folder	under the folder tree	. In the example, create static navigation links to the folders under the Designers	folder by pinning it. The current links menu of the address bar is completely dynamic. Depending on where we are in the portal, it will display links to different sub-folders and pages. For example, in the My Designs	folder, view links to the Designer view	and the Folder View	. To pin the Designers	folder, we will select Designers	folder, select Actions> Manage> Pin to Top Menu	on the right corner of the navigation bar. 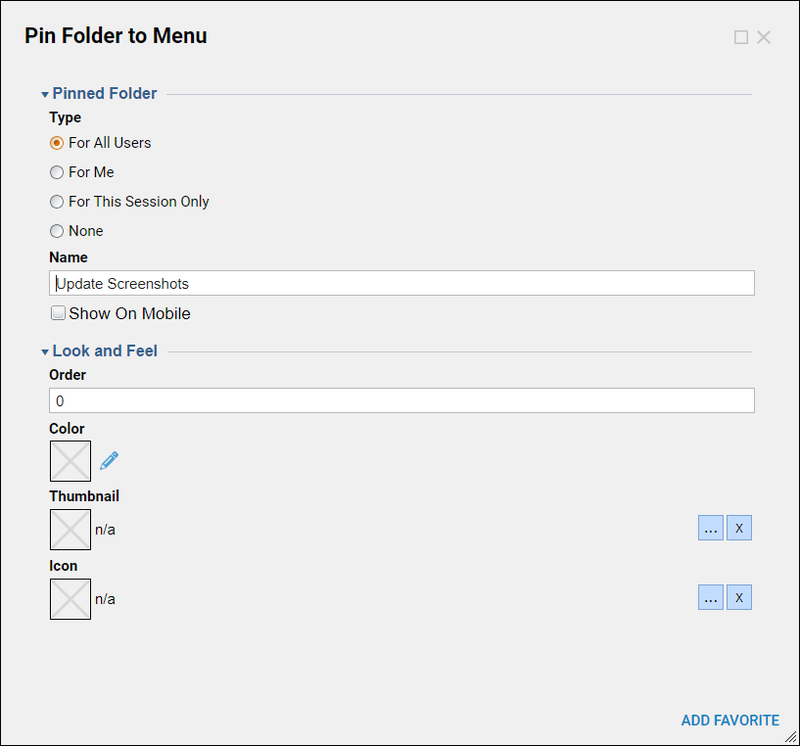 Select Pin to Top Menu	and finish the set up as the following in the dialog. Now, when navigate to the Folder Tree , view the folder pinned. When we open the action menus, we will see all of the actions available to the folders. Because the folder has been pinned, these links will remain static in every view of the portal.